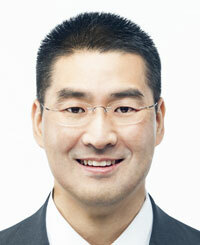 Google has appointed John Lee as the new head of its Korean subsidiary, the U.S. firm announced Tuesday. “Google has appointed John Lee as the new country director for Google Korea. He will begin the job in early 2014,” the firm said in a statement. Lee established and led Tesco’s e-commerce business in Malaysia and most recently managed marketing and store operations in China for the British firm. He was formerly a general manager for Reckitt Benckiser Korea and general manager for Clorox Korea. 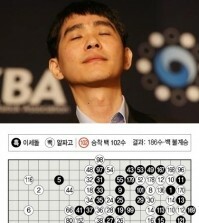 The new Google Korea CEO earned his bachelor’s degree in computer science from Carleton College and got an MBA from Harvard Business School. Mentioning Lee’s previous expertise in e-commerce and operations, industry sources speculate that Google will invest more in the mobile web-search market currently being dominated by Naver. Google advanced into the Korean market in 2004. But its share in the PC-search market stalled at between 6 to 7 percent, according to data from the Ministry of Science, ICT and Future Planning. In the mobile device search sector, which is very promising amid explosive growth in smartphones and tablets, Google is competing with Daum Communications for the second position with Naver controlling over 69 percent. Despite the stalled growth here, Korea is one of the critical markets for Google as smartphone makers Samsung Electronics and LG Electronics are the top users of the Google Android operating system. Google is developing futuristic devices such as Google Glass with the help of Samsung, which is also supplying display panels for upcoming devices. The company is also helping Samsung in a patent dispute with Apple as the Korean firm is regarded as a “representative” of the so-called Google Alliance.